Chapter 9 Special Structures of the 2011 Edition NFPA 88A: Standard for Parking Structures specifies the access required in an automated parking garage for fire service and maintenance personnel. Robotic Parking Systems comply with these NFPA regulations including horizontal walkways for access at intervals of 6 meters / 19.5 feet vertically and 30 meters / 98.5 feet horizontally. Stairways, landings, platforms and catwalks provide the required access to fire personnel. Additionally, as we have discussed in the previous posts in the series, the water mist foam system used in the Robotic Parking System actually extinguishes fires before they spread or fire fighters are required on the scene. This provides an extra layer of safety for both the facility, personal property and fire department personnel. Since there are no people or running cars inside the garage, there are lower lighting and ventilation requirements for an automated parking facility. This adds up to increased savings for the developer. Per the 2011 regulations, the required ventilation in an enclosed automated parking garage is a minimum of 2 ACH (air changes per hour). Conventional parking garages require about 8 to 10 ACH. Openings at the roof and at the bottom of the Robotic Parking System take advantage of the natural chimney effect and provide the required 2 ACH in an above ground facility without further mechanical ventilation equipment. Underground automated parking facilities do require mechanical ventilation but much less than the conventional garages. This is the last in our series on complying with NFPA 88A. If you have any additional questions, you can always contact us directly at info@roboticparking.com. 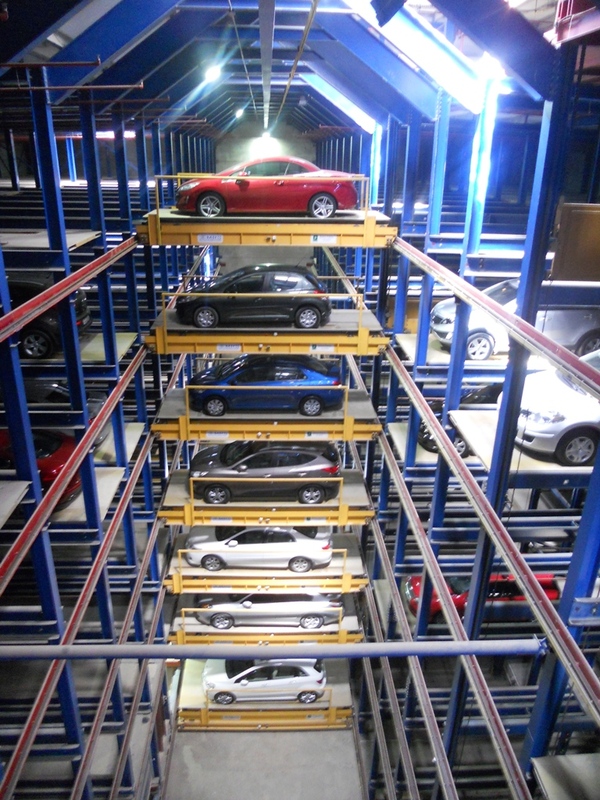 Learn more about Robotic Parking Systems. Click here to order a copy of the 2011 Edition NFPA 88A: Standard for Parking Structures.